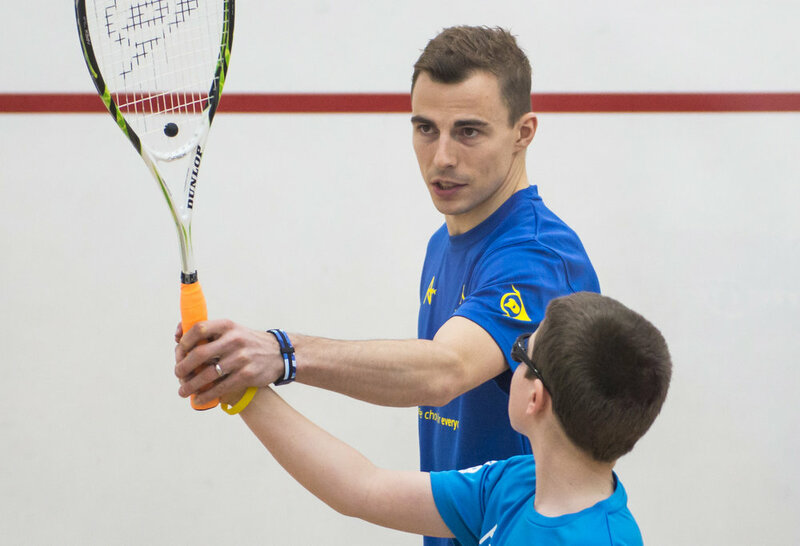 Each summer, Nick Matthew and his teaching staff deliver unparalleled squash instruction and one-on-one guidance to kids aged 10-17 at the Nick Matthew Academy. In addition to squash, campers have the opportunity to enjoy a range of other fun activities promoting character, discipline and teamwork. This all takes place at the prestigious Berkshire School, nestled in the Berkshire Mountains of Western Massachusetts. 2019 Camp Session Dates Announced! Session 4: July 28 - August 2 : Laura and Danny Massaro will lead the final week of camp (Nick can’t be a part of this session). New for 2019 - Stay for 2 Consecutive Sessions! Interested in participating for two consecutive sessions and staying the weekend? You can do that in 2019. We’ve customized camp programming so campers will have a ‘fresh’ experience each week. Learn more here. Learn more about Berkshire School's amazing 10 court squash center and 400 acre campus. We’ve simplified the registration process for 2019. Click here to sign up!